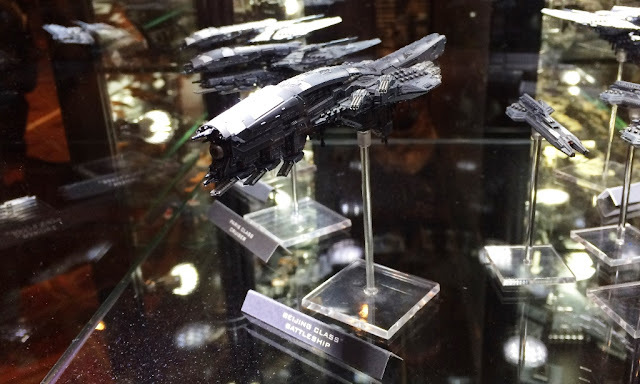 At the UK Games Expo we managed to get our first glimpse of Dropfleet, the upcoming space combat game from Hawk Wargames. 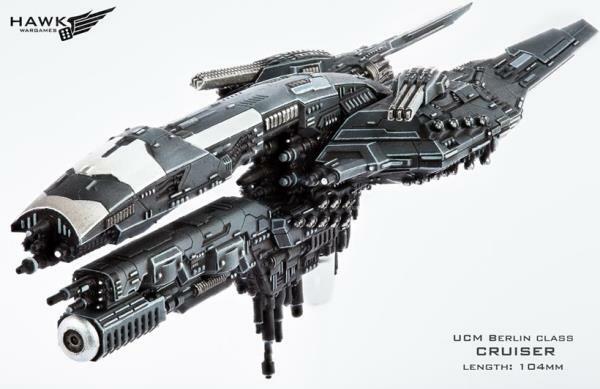 With a little help from the UK Gaming Media Network I got the chance to speak to Dave from Hawk Wargames about the new game and building a huge replica of the smallest ship in the game. 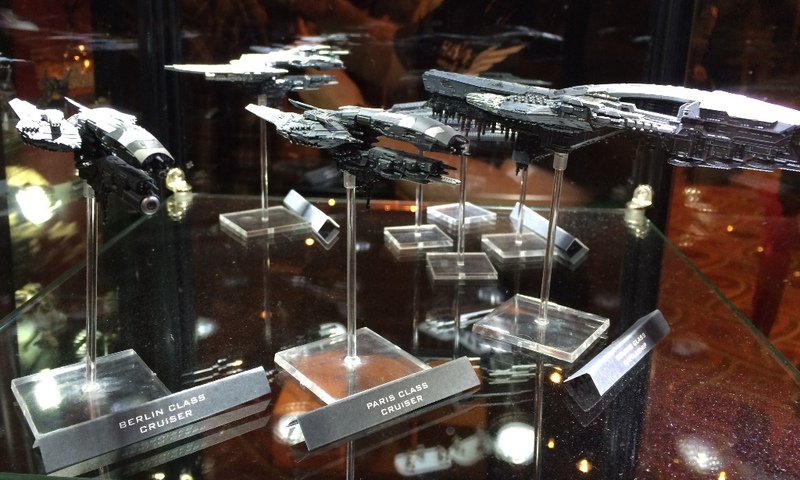 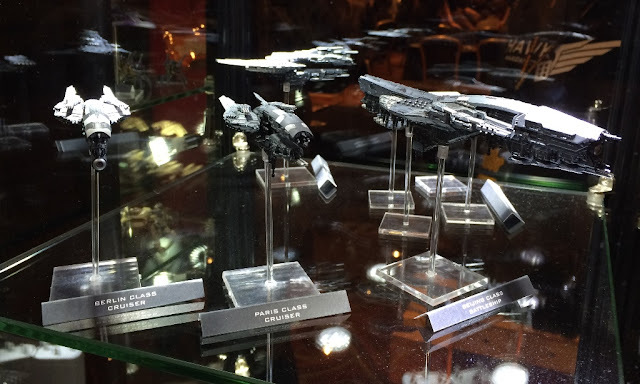 We've seen the promotional pictures of Dropfleet's ships but here are some images we managed to grab from the show floor.